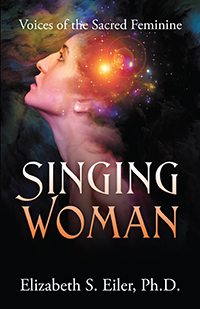 Reconnect with feminine divinity through an expressive chorus of Sacred Feminine voices. Find your soul mission and step into joyous empowerment as a woman. The author joins forces with a sweeping pantheon of divine energies, launching a modern Sacred Feminism to usher in the Aquarian Age of human equality. •	Explore the expansive spiritual hearts of women with guidance for relationships, finances, career, and wellness. •	Learn the beautiful, balancing functions of the Sacred Masculine and Sacred Feminine in concert. •	Discover how the soul wisdom and spiritual calling of women is redefining gender roles, fostering healing and reconciliation, and changing the face of corporate culture. •	Hear the boldly singing voices of goddesses, Angels, and Ascended Masters, channeled with love and devotion for the women of our time and in support for the challenges we face. Elizabeth S. Eiler, Ph.D. is an Usui Reiki Master and founder of AbundantHealing™. 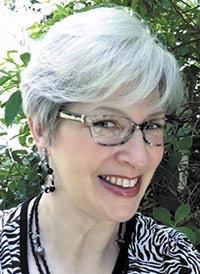 Owner of Seven Stars Healing Arts, LLC, she practices a range of spiritual healing disciplines and is an Ordained Minister of Wisdom of the Heart Church, Certified Angel Card Reader, and fifth-generation psychic medium. A spiritual teacher and metaphysical scholar, she provides classes in Reiki, women’s spirituality, crystal healing, and animal communication. She is the author of several books about spirituality, and her writing on metaphysical subjects regularly appears in Lightworker’s World. She completed intensive studies at the University of Metaphysical Sciences and also holds degrees from Pima College and Kaplan University. Elizabeth lives with her husband Benjamin and their dog-children. Visit her website at www.sevenstarshealing.com.